Lamhe is the story of moments; moments of passion….moments of ecstasy …moments of love. The first time Viren (Anil Kapoor) saw Pallavi (Sridevi), that moment stood still and she captivated him. Pallavi, with the dreamy eyes, the tinkling laughter, the singing voice and a strong willed happy attitude to life. Unable to express himself in her presence, Viren found happiness in reminiscing each moment of the time spent with her; until the moment when he realised that Pallavi loved Siddharth (Deepak Malhotra), in whose arms Pallavi found solace and happiness. His unexpressed love life changed, from a carefree adolescent lad to an unhappy man. But fate had other plans for Viren. Once again a moment changed his life forever. It was the moment he first saw Pooja (Sridevi); her radiance shattered the darkness in his heart and he learnt to laugh again. But memories of an old love take time to fade. Will Viren find another moment of happiness in his life? Is there a moment of love for Pooja? Lamhe is Yash Chopra’s most cherised film with soul stirring music composed by Shiv-Hari and lyrics written beautifully by Anand Bakshi. 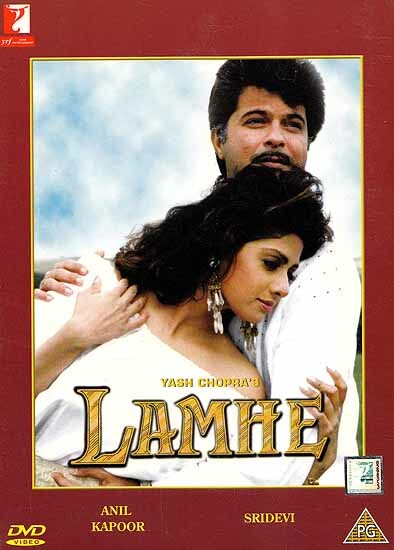 Lamhe was one of the most awarded films of 1991 the year of it’s release.